A simple system for gaining, and keeping control of your outside space. I’ve been banging on for a while about how I keep a handle on my (rather large) garden, in tiny five minute bursts each day. It all began with a decision to stop doing what I had been doing (letting everything get to crisis point and then having to spend hours and hours at a time to regain control) and try a different approach to see where it led me. A garden that did what it was supposed to do: bring me and my family joy. But I’m well aware that although I may FEEL like a beginner, I’m actually not and that deciding what to do each day is sometimes more of an obstacle than the DOING of the thing, especially when you are unsure of yourself. For example: if you’re not sure about how to proceed with your rambling rose, then the chances are you’re going to avoid dealing with it completely for as long as possible. That’s okay of course (there’s nothing lovelier than an out-of-control rose) - until, that is, you want to go out and play in the garden. So I started to cast around for a system that would help me get around to everything, with minimum agonising. I decided to lump all the stuff that ALWAYS needs doing into a quick five minute burst, and then allocate a separate, more specific enterprise to each day. This worked beautifully, except that it didn’t allow for all the other, perhaps less important, but more detailed stuff, like planting containers, or looking after your pond, or maintaining your garden furniture. I love watching people clean things; especially when they are all jolly and up-beat about it. I don’t enjoy cleaning my own house (in fact I pay someone else to do it for me), so quite why I love watching other people clean theirs is beyond me…but I have decided not to judge myself and just go with it. Anyway, this lady, Gemma, has devised something called ‘The Organised Mum Method’ and every day she’s there, on Instagram, encouraging others to get their mops and dusters out and zip through the housework fast and efficiently, so that they can enjoy the rest of their lives without being plagued by dirt - FABULOUS! I LOVE HER! Like me, she has a daily task system, but she also has something she calls ‘The Friday Focus’ - a set of eight distinct areas that she tackles in rotation, to go ‘deeper’ than just bog standard cleaning (i.e. empty the crumbs out of the toaster). I took this idea into my garden, creating a set of ten things to tackle on Fridays in rotation (or indeed, that I could just pick and choose from). 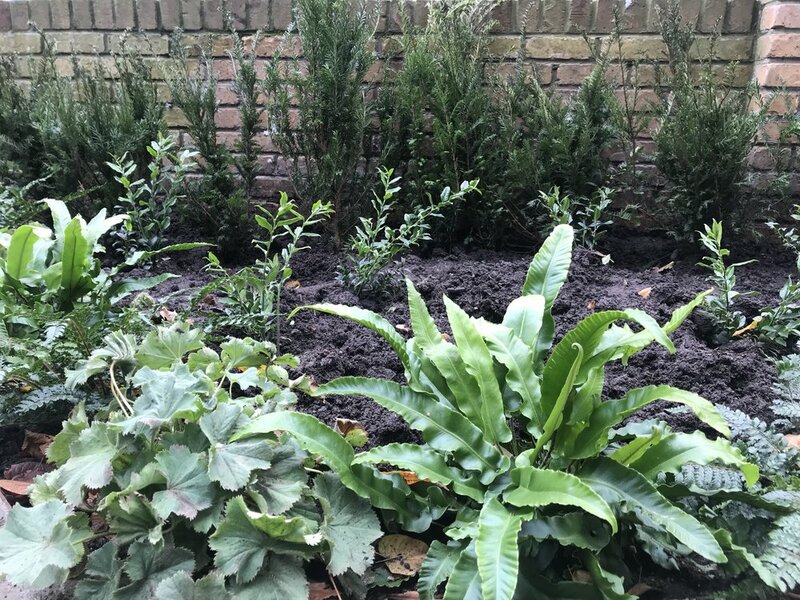 So that was rather a long-winded introduction, but here is my Five Minute Garden approach, and I hope it helps some of you get out there and enjoy your outside spaces again! The Basic Stuff: watering, weeding, sweeping, tidying – Do as much as you can in 5 minutes. Weeding. Pick a spot, start the timer, ready, set, go! Two trays or trugs: one for composting, the other for council or black bin. Sweeping. Sweep or blow out steps, paths and terraces. Compost leaves. Resetting and tidying. Cushions out, umbrellas up, lights and candles lit and vice versa at the end of the day. This little enterprise sets you up for your week. It’s a general garden tidying mission – it comprises all the baseline jobs but over the entire garden. That means you’re not getting into detail – no perfectionism here, but you will get round the whole garden. Tidy away anything out of place, weed anything that’s obvious when you view the entire space, roughly sweep/blow all terraces, steps and paths and water anything that needs a drink. This is everything chopping and tying in. Get those secateurs and do the dead, diseased and dying dance. Next, tackle any tree or shrub branches that need pruning or shaping. Tie in anything that needs training. Put everything into a bag for council composting, or chop up fine for home composting. Mow and edge the lawn (summer). Wash with a strong hose stream or pressure wash and/or scrub with baking soda/vinegar to remove any slippery mould. Weed between cracks. Weed out any dandelions. Deal with any bald or yellow patches. Get between the plants and search out hidden weeds, prune out any dead, diseased or dying matter, dead head in summer, divide in autumn, mulch in winter. Re-pot in spring, feed and deadhead in summer, plant up in autumn and spring, mulch, weed, etc. Turn the heap, add green or brown waste/ bulking agents etc. Remove weeds and/or fallen leaves, add oxygenators. What if there’s a massive job to be done? 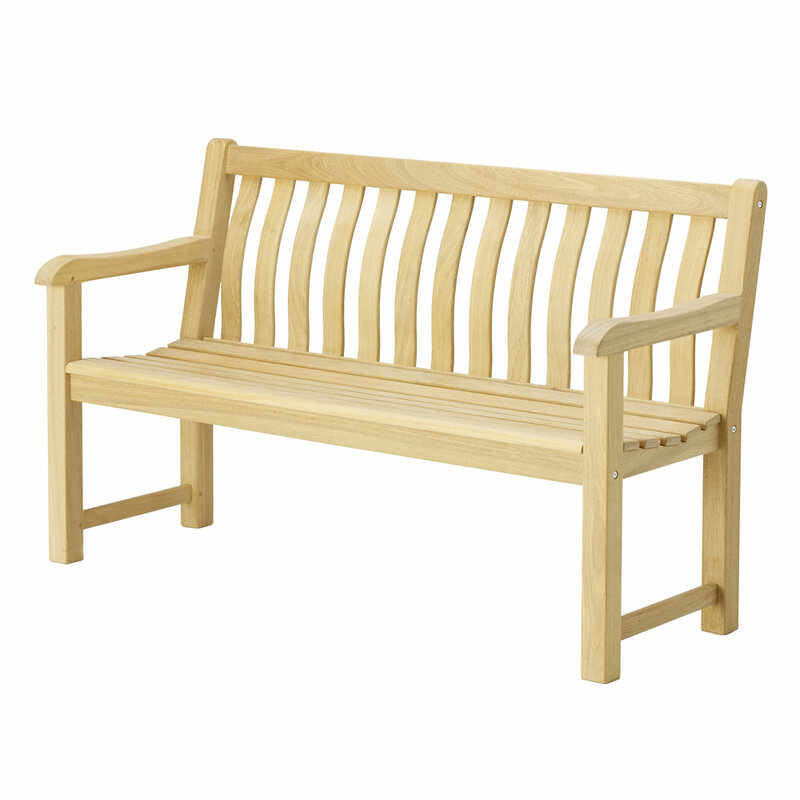 If you have a huge job that needs doing , simply add it to your basic list, and do it instead – so for example you could make mulching the garden your basic enterprise for an entire week – a trug-full a day. What if I only want to garden at the weekend? Yes of course you can adapt this approach to the weekends if you prefer to garden then. Simply do 25 minutes of basic stuff on Saturday and the weekly stuff on Sunday, (or mix it all up into one big burst…) up to you. If you’ve been following along for a while, (and perhaps using the five minute approach to gardening) you’ll know that the timing aspect of it can be pretty elastic sometimes. There are days when you’ll have time (and inclination) to stay and keep going for much longer than five minutes, and there will be other days, when you can literally only manage 300 seconds. The point is that we can ALL stop what we’re doing and go outside for five minutes. That’s the idea that gets us out there and doing something positive. All this to say that yes, you can take this whole thing totally literally if you like – set a timer and do proper five minute bursts, and your garden will look lovely, and you will benefit too, because you went outside…but you can also let the mood take you for longer, and you’ll be able to go a bit deeper, and understand your garden a bit better…it’s not set in stone; it’s up to you. 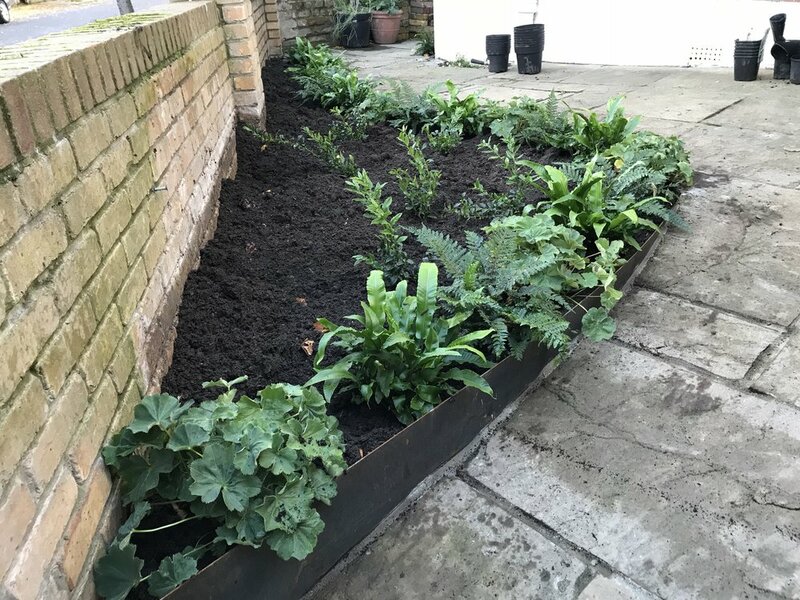 HUGE excitement here, as I managed to steal an hour yesterday to plant up the front garden bed! I knew I wanted a yew hedge, so I ordered this bare root (SO much cheaper than buying plants in pots, but you do have to wait for them to grow…it’s called gardening). I also knew I wanted a tree, or something imposing in the middle of the bed. At the time of writing I’m still deciding on what that should be. If you don’t know sarcococca, it’s common name is sweet box, or christmas box, and it is an extremely hardy evergreen shrub with tiny white flowers that pump out delicious scent in the depths of winter, just when you most need a lift. It’s an absolute beauty in a front garden because you get that fabulous whiff every time you go in and out (as do your passers-by…lucky them). Someone once wrote to me and said that she couldn’t have sarcococca because her husband hated the smell. All I can say is that he must be a very special person (baffled, blinking face). Alchemilla mollis is Lady’s Mantle - an oh-so-pretty perennial that holds magical droplets of rain in its leaves and shoots out acid green flowers. I put the sarcococca in first - they are small plants so they look a bit lonely but they need space to grow; that’s gardening. Then I edged the whole bed with a repeating line of my top ferns and alchemilla. I love the textured finish it gives, and because I planted them pretty close together, it looks gloriously ‘finished’ which is always satisfying. 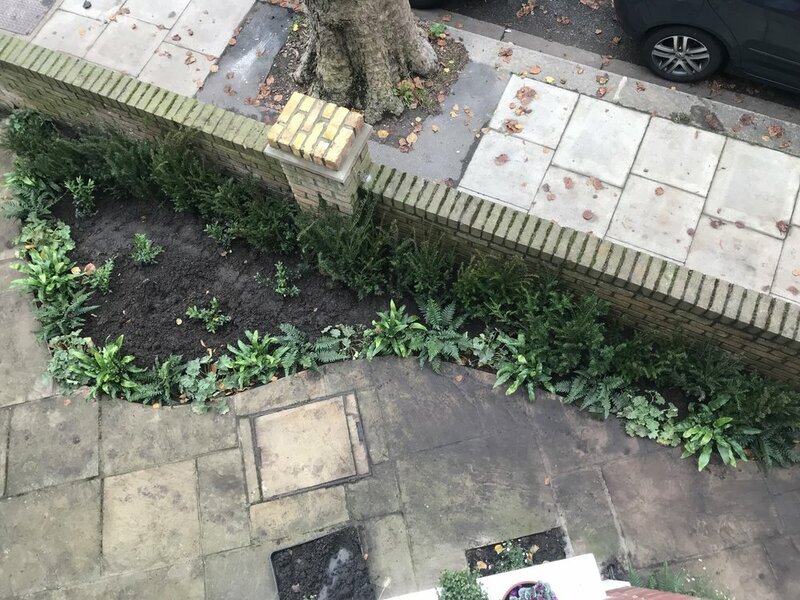 Once the hedge and my centrepiece are in, I’ll be doing a big bulb-planting session here, to give me something for the gaps in the spring time. What’s your pain threshold for ugly? I’ve found out that mine is pretty high. I’ve lived in the same house for ten years now, and I walk in and out of the house on average about ten times a day. I have consequently walked in and out through the tiny piece of land that constitutes my front garden about thirty six thousand times. Thirty six thousand glances at something that, when we bought the house, made me wince and think “This is the thing we must tackle first”. Thirty six thousand instances where I’ve had to ignore the unfinished, unkempt ugliness of it. Pretty soon (I’d say after the first six months) I simply stopped seeing it, in the same way that I can’t really remember certain things that happened in my twenties. Our brains block stuff out. I called time on my un-seeing eyes a couple of weeks ago, and I have halloween to thank for that, as, laying out my pumpkins and trying to prettify the space, I realised that I was no longer prepared to agonise over how awful it made me feel. Something had to be done. As cheaply as possible, and as quickly as possible. The lovely thing about calling landscapers in Autumn is that their workload is slightly lighter, and they can fit small jobs in between their vast ones quicker. Mark and his brilliant team started by removing the ridiculous triangular raised bed. Then we marked out a new, curved shape that would allow for a hedge along the length of my front wall. They then cut it out, removed the debris, put a length of thick steel edging around the sloping part of the bed to keep things level, and then backfilled with earth. They also put caps on the plain brick uprights of the wall, using some leftover London Stock from our extension project, which softens the whole look and somehow detracts from the ugliness of the cheap bricks beneath. Finally, they put vine eyes on the front of the house, and cut two small holes in the paving against the walls of the house, in which to plant climbers. It’s the simplest, most economical solution to my ten year itch, and I absolutely love it. Phase two (planting) coming soon! Just add pumpkins: a five minute autumnal entrance. I’m hesitating as I begin writing this, because after all, who on earth needs to know that I’m plonking a load of random pots on my windowsills? But the idea here is that you don’t need to go shopping in order to decorate your front door - you can probably just move some stuff around and get the effect you want. And if you’re daunted at the thought of window boxes, or planting things, well then here is your work-around. Just add pumpkins! It took me five minutes to gather the stuff, and rather longer to fuss around with it. I hope it sparks some decorative energy. There was a time in the dim and distant past when I would go to the nursery and buy up bedding by the armful, plant it up in containers and display it, together with pumpkins, and perhaps a lantern, outside the front door. The window boxes too, would get an autumnal shake-up; I would swap out the summer lobelia and nasturtiums with cyclamen, or viola, plunging bulbs beneath. 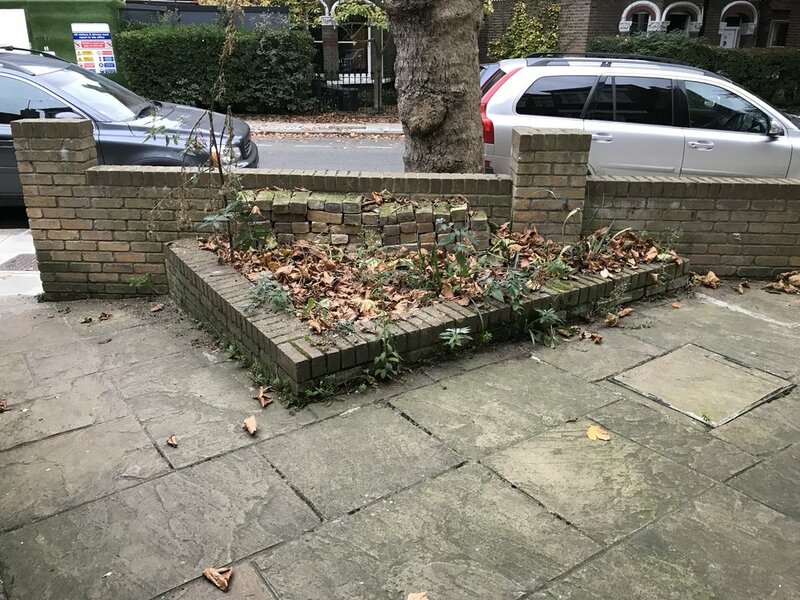 But the window boxes went during some building work a couple of years ago, and haven’t yet returned. It’s a sadness, but also a relief in some ways - the hassle of watering and tending to them (one more thing in a long list of ‘stuff to do’ has been removed - and I rather relish the austerity of unadorned windowsills. But I’m not the fun police, and I do love a celebration. There’s absolutely no point in fighting against Halloween when you have children. They love it and there’s nothing to do but embrace the entire she-bang. So I went off to the nursery, fully intending to buy great big chrysanthemum bombs and do like the Americans, with all their fabulous front-door autumnal (or should I say ‘fall’) excess. Well, I got there, and the big balls of chrysanthemums looked a little tired and a LOT like they’d need me to deadhead for HOURS, but most off-putting of all, they were all encased in plastic, I guess to prevent the stems from flopping out and snapping off. So I went home, resolving to gather up all the orphaned, random things in my home and garden, and put them on the windowsills. This is what I did. It cost me nothing, and I am smugly pleased with the result. Muehlenbeckia complexa: I had thee little plants, bought a while ago because I am VERILY IN LOVE with this plant. I’m waiting for the Gladiolus callianthus to go over, and then I’ll replace them with muehlenbeckia as a permanent planting. Bunnytail grass: I bought this to plant in the thin strip at the base of the wall at the end of the garden. True to form, I haven’t got around to planting it yet, so it’s going here on the windowsill. Ivy: Each of my kids have an ivy plant in their bedrooms. I stole them and put them on the windowsill. Euphorbia ‘Diamond Frost’. This small pot was the result of some left-over plants that I had when I put a load of plugs at the base of one of my myrtle trees. It has been on a little table outside my shed, flowering its little heart out. I nicked it and put it on the windowsill. Cylcamen. I bought a load of these at the beginning of the week to plant in a large shallow pot that I usually use for salad leaves and add some colour to my terrace. I also like having some knocking about to bring indoors when the weather turns really ghastly, so I plant them, three to a shallow pan and have them lying in wait. This one is ‘waiting’ on the windowsill. Gourds. I bought these on purpose at the market - they are ridiculously tasteful and will be joined in due course by proper orange ones, which we will carve scary faces into. I thought I'd post a little update on the hanging basket, which I planted a few weeks ago now. I began with some rather bedraggled Dichondra 'Silver Falls' - left neglected on the shelf at my local garden centre, and an old basket which had long since lost its inners. I used some cheap hessian to make a new liner, and lined this again with old bits of plastic bag, then I filled up the whole thing with multi-purpose compost, mixed with some water-retaining granules (something that I generally reserve for hanging baskets only but which I now wish I'd used in every pot)! You can get the how-to here. Here's how it looked when I planted it up in the last week of June. Sustainability is all about durability, and that means shelling out to buy the very best that we can afford. It means that when we buy something new, we buy it not just for ourselves, but for our children and grandchildren, and their children too. The Gaze Burvill stand at Chelsea this year was an utter treat, and richly deserved its reward as best trade stand of the show. Butter Wakefield is a master of restrained but ebullient design; the sort of spaces that pull you in with their friendly, come-hither, arms-open-wide accessibility, and at the same time wow you because, well, they are just so damn chic. Andrew and I finally persuaded Butter to come and give us the benefit of her wisdom and experience on the podcast and it's up now for you to listen to - just click here. 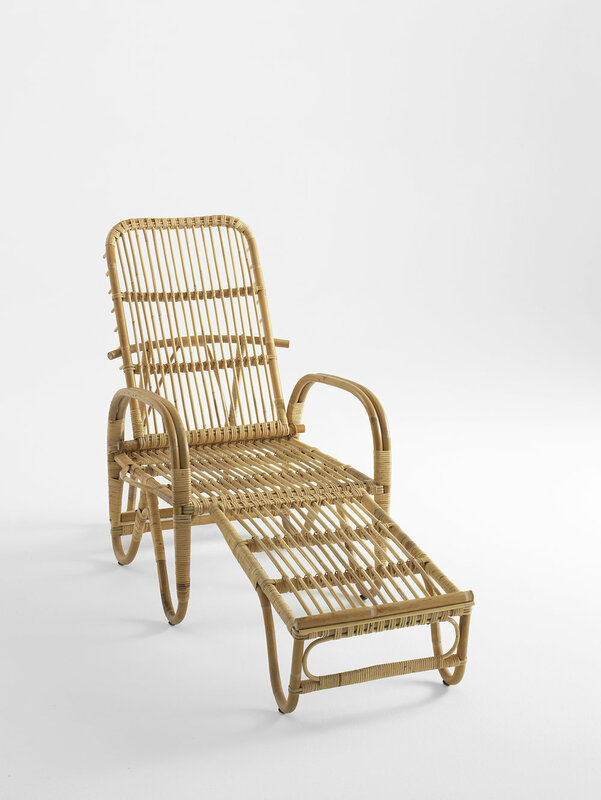 Third on my lust list of products I'd love to take home with me from Chelsea this year, are the amazing and unique finds from Garden Art Plus. Travers and Katie scour scrap yards and old factories up and down the country and abroad, finding the most amazing and thrilling containers and statuary for the garden. 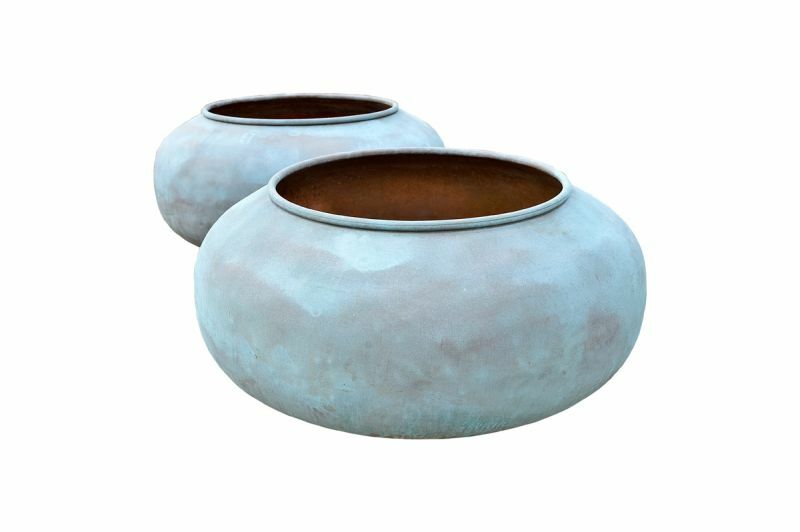 I'd love to sit here and tell you that I've ordered two vast copper chocolate mixing vats to adorn my enormous garden; sadly, I cannot. But that's really not the point is it....We don't get cross when we can't afford a Gwen John do we? We admire it for its beauty. I love this stuff because it's old stuff that's been given new life. Carrying on from yesterday's gorgeous rugs from Weaver Green, something rather less outwardly beautiful but incredibly clever and useful; The Air Pot. This thing combines clever design and recycled plastic to give you healthier plants. The Air Pot has been around for years and is used by professional growers for everything from seedlings to large trees. The design promotes healthy root growth - roots grow outwards towards the holes in the sides and bottom, and are then air-pruned (the tips die off when they come into contact with air) which in turn makes the plant produce more branching roots. The result is a containerised root system that never becomes pot-bound (where the roots start circling around the edge of the compost), and when it's time to pot on or plant out, you simply un-wrap the pot, which means minimal root disturbance. The pots are made in Scotland, from recycled plastic, and let's be honest, they're not pretty, but a healthy root system makes for more beautiful plants, and they can of course be placed inside another, larger, more lovely container. They come flat-packed and are easily assembled. They can also obviously be stored flat, which is a great for those with limited space. 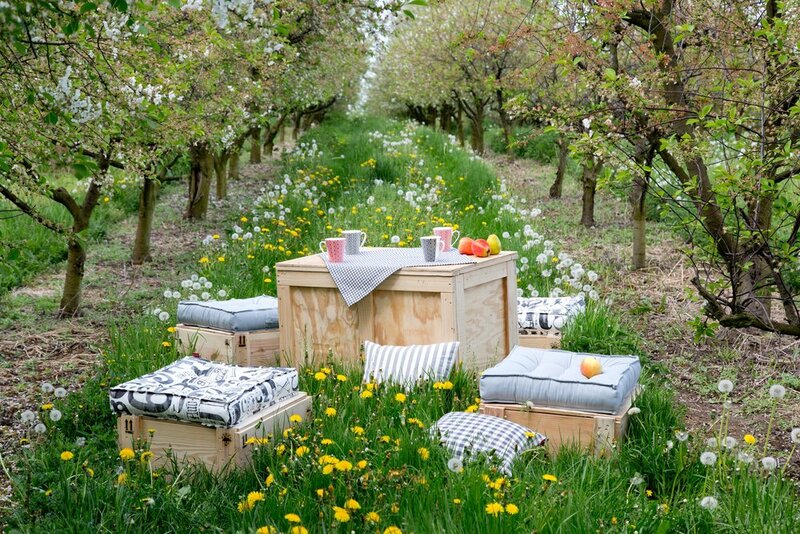 At present, because the company has only just started retailing to smaller customers, the product is sent out wrapped in a sand-bag (woven plastic material) which can be re-used in the garden. Eventually these will be replaced with cardboard. 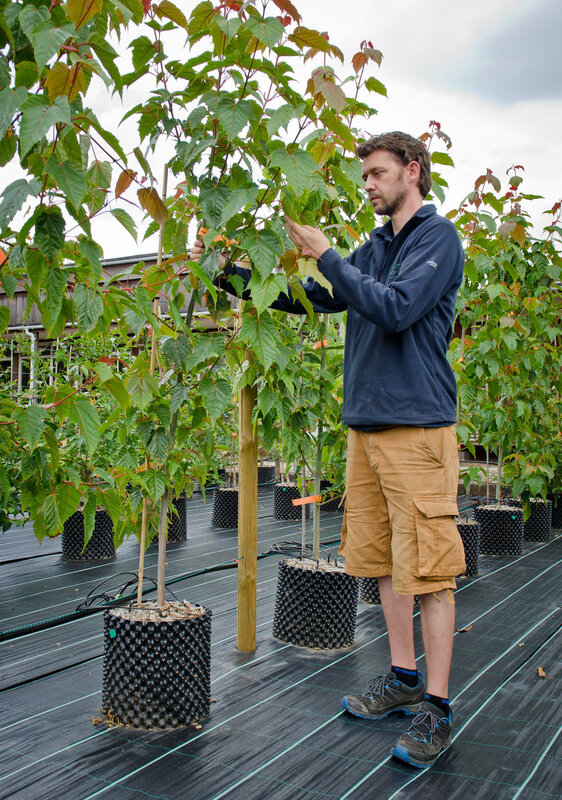 I have enough old-school small and medium sized plastic pots to last me for years, but I'll be ordering a couple of large Air Pots for my containerised trees so watch this space! Before I bang on again about plants, I thought I'd do a short series showcasing my favourite products from Chelsea this year. All of them have one thing in common; they have sustainability at the core of their business. 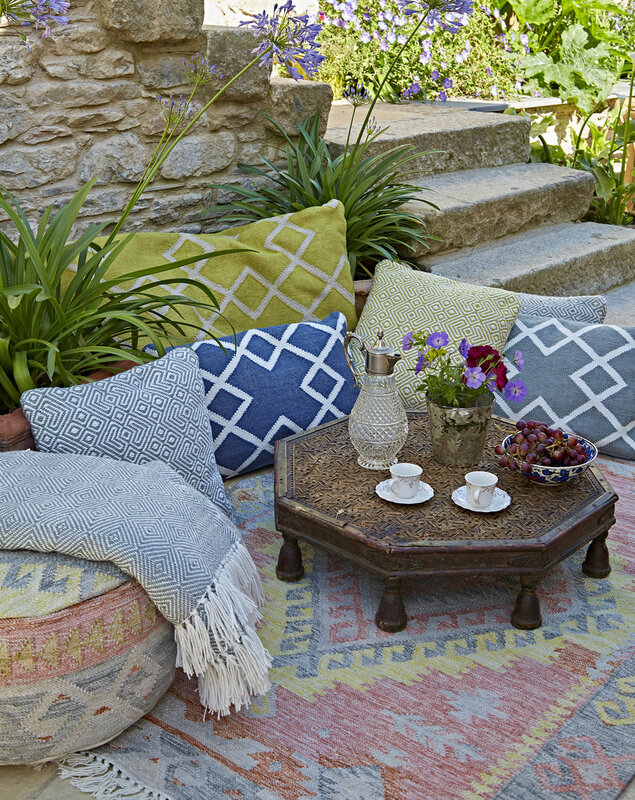 Stunning rugs, throws and cushions from Weaver Green, made from recycled plastic bottles. The judging criteria at RHS Chelsea doesn't include anything on sustainability - odd, considering that gardens are nature, tamed. It becomes stranger every day to me, that this professed love of nature should be accompanied by such a head-in-the-sand approach to the mountains of single-use plastics within the industry, along with toxic rivers of insecticides and herbicides (also encased in single-use plastics. It's not up to the RHS, or any other large organisation to lead the way in reducing waste though. The power is with each of us, making everyday choices which align with our values; if we want to see the gardening industry (and the rest of the world) changing its ways in this respect, then it is in our gift to vote with our feet and our wallets. Sustainability begins at home. There are businesses out there though, who are making it easier for us to do this. Whilst I wait and dream of a nationwide plastic-free compost delivery service for those of us who don't make enough of it at home, here is the first of my favourite things from Chelsea this year. When I walked onto this stand and touched these rugs and throws, I fell in love with them instantly. Imagine how thrilled I was then to be told that they were made entirely of thousands old plastic bottles that would have ended up in the ocean. I am smitten. The colours are soft and receding and they basically look like they've been there forever, which is what you WANT (or at least that's what I want) Oh, and guess what, moth larvae, house dust mites, and mould have absolutely no interest in these products either. 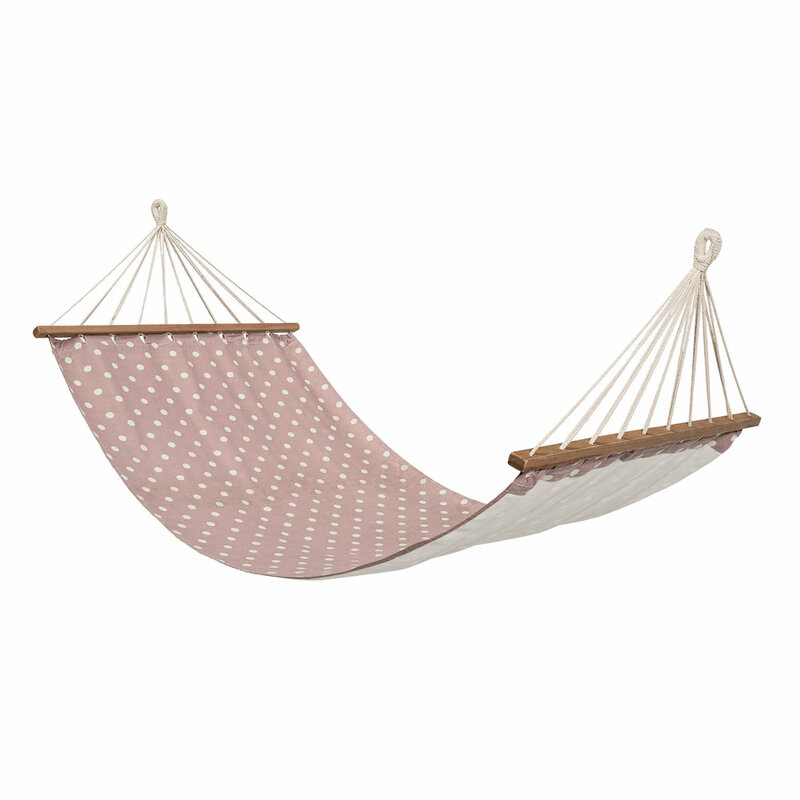 Needless to say, I bought one of their beautiful runners immediately, and will be investing in a couple of other rugs for outside, because yes, these things are outdoor friendly and machine washable. 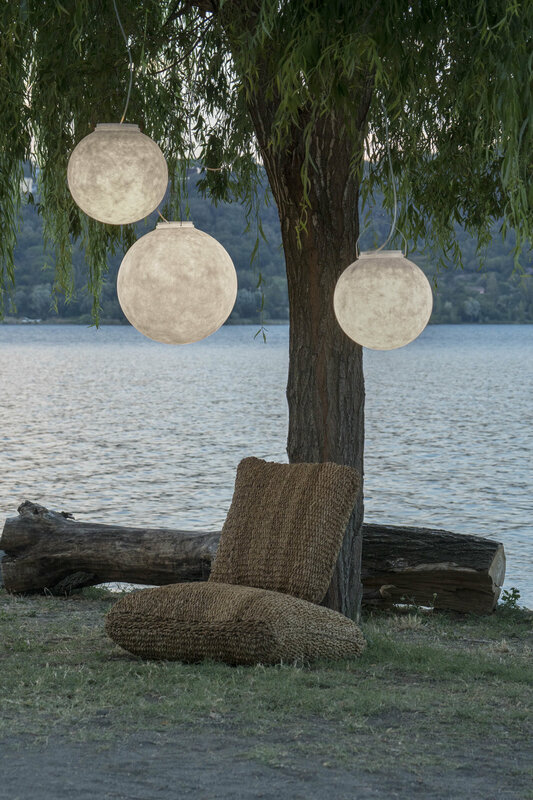 Weaver Green is the brainchild of Tasha and Barney, who spotted a fishing rope used to tether boats on one of their trips to Asia, and, inspired by this discovery, tasked themselves with creating the softest, comfiest textiles possible using single-use plastic bottles. They ended up with a product that works on so many levels - not only is does it give new life to discarded plastic bottles, but it also looks and feels exquisite. People like Tasha and Barney make me feel hopeful and happy. You need to go and visit this beautiful garden. It's called Upton Grey, and belonged to a certain Charles Holme, who had the foresight to get Gertrude Jekyll to design his garden in 1908. All these pictures were taken by me, yesterday, and they typically show all the little details that I fell in love with. For an overall view of the garden, and pictures of the borders in full bloom (oh, the HOLLYHOCKS!! !, go to the website here. 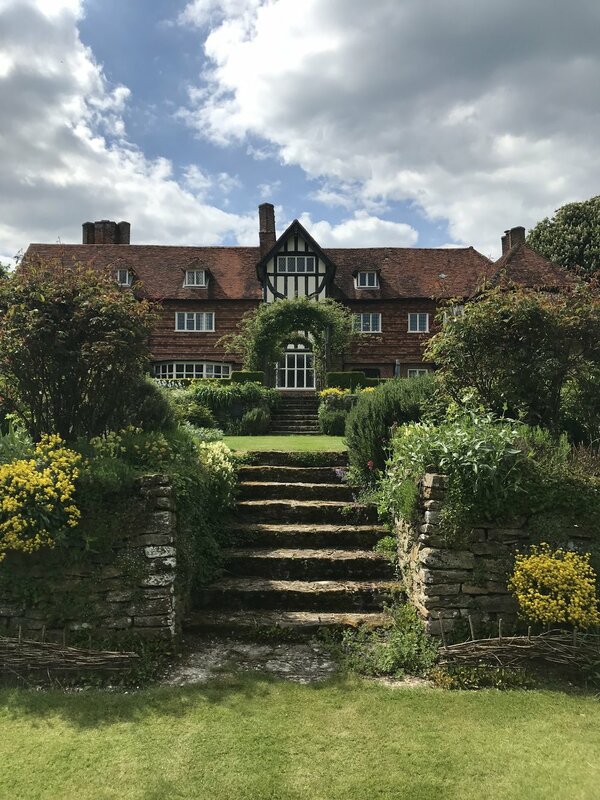 Cut to decades later and the house and garden, having changed hands many times, have gone to rack and ruin, only to be discovered, bought, and lovingly restored by the legend who is Rosamund Wallinger, and her brilliant husband John. As soon as she realised that the foundations of a Jekyll garden lay at her feet, she set about resurrecting it with fierce, uncompromising accuracy. The result is the only living example of an original Jekyll garden. Every tree, shrub, perennial and bulb is there as she stipulated on her plans. It is extraordinary, and needs shouting about, not only because of the Jekyll angle, but also because this is the work of one woman over three decades and as well as peonies and dry stone walls, it exudes determination, and commitment and passion. The fact that Rosamund knew zilch about gardening when she began this whole thing did not deter her. In fact it was a blessing, as it allowed her to get fascinated, to read, to ask questions, to dive right in, and put one foot in front of the other, without being burdened by the knowledge of the monumental task ahead of her. She learned from many mistakes and has emerged with a deep, practical knowledge, not only of botanical theory, but of real, practical horticulture. ...all you need is the willingness to have a go, and the ability to get excited, rather than overwhelmed by your mistakes. Summer-flowering bulbs often get lost in the rush of March and April when there’s so much to do in the garden, but it’s a real shame to miss out on these beautiful and useful plants that often bridge that awkward gap between summer and autumn where everything seems to be crisping up and dying a death. My first choice is always Gladiolus callianthus (sometimes called Acidanthera) – a perfect white thing with a gorgeous deep maroon blotch in its centre. I plant masses in pots and they never fail. The scent is indescribable so I won’t even go there; just know that you can’t possibly live without it, and go to my newsletter here for a quick and easy how-to. Lilies are an absolute must, and again I usually put these in tall containers and then sink them in borders if that’s where they should be. Exquisite L. regale and L. ‘Casa Blanca’ are both easy and more importantly, scented, which make them perfect on terraces and brought indoors for summer parties. Crocosmia are another favourite. Once planted in a sunny place (border or pot) and kept watered, they gallop off into the sunset, all guns blazing. I’m in love with brilliant red C. ‘Lucifer’ (who wouldn’t be) but if you already have him and want to be unfaithful this year, then consider C. ‘Severn Sunrise’ for its spicy orange blooms. Grasses - to chop or not to chop? 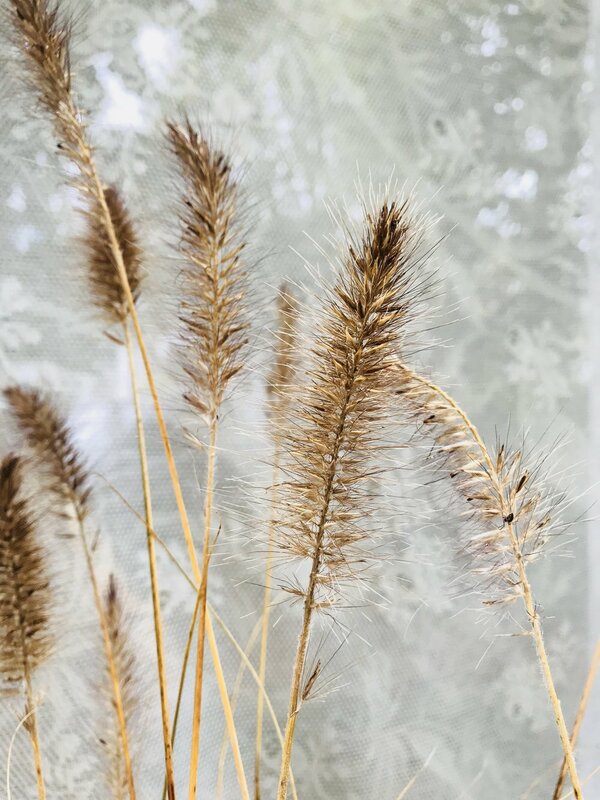 Ornamental grasses tend to hold on to their old dead growth , and this can become confusing for gardeners with busy lives, who often mistake evergreen for deciduous and vice-versa. There is no sure-fire way of dealing with this problem except to take a little time to identify your grasses. If new green growth is appearing from the base of the plant then it’s probably deciduous, and this is a good time to get rid of all the dead bits. I always used to take enormous care not to cut any of the new growth, but then I saw Carol Klein merrily massacre one specimen on the telly. “It’s a grass” she said, “just like your lawn”. After that, I became altogether less tentative. Do wait though, until you can at least see some green spikes emerging from the base. Some grasses, like miscanthus and pennisetum get going rather later in the spring, and the dead growth acts as protection. Evergreens, like carex and festuca need a little comb-through. The new growth will be just as long as the old, and all you need to do is to dispense with this by pulling your hands through the plant (wearing gloves of course, because some of these grasses have sharp edges) and the old growth should come away easily. Although this is rather more time-consuming than chopping, it has the kind of therapeutic effects that make this extra time more than worth it.